I am not a big fan of halwa. 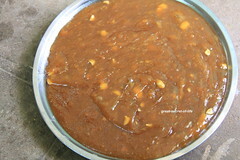 Recently I tried Ashoka Halwa and everyone at home loved it. 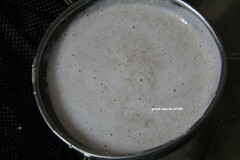 When I went to India my mum engaged a cook from Tirunelveli. 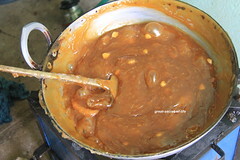 Halwa is one of his special. 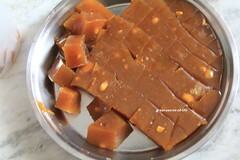 So I have asked him to make the Halwa so that I can taste the traditional Tirunelveli Halwa. Even though it uses few ingredients it does take lot of cooking time. It almost takes about 2 hours. Also it is very rich dessert. Wash and soak the wheat berries for 6-8 hours or overnight. Drain the water (into separate vessel). 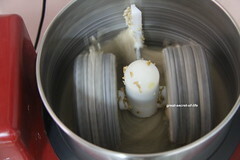 Grind the Wheat berries into smooth paste with soaked water. Add water little by little while grinding. 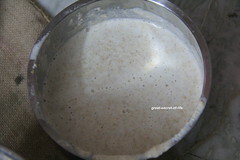 Drain the Wheat milk using big strainer. 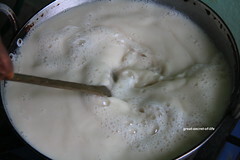 Add water to the squeezed wheat and mix well with hand. 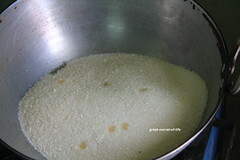 Add 1 cup water to drained pulp. Drain the water again. Keep the wheat milk overnight. Heat the kada. Add sugar. 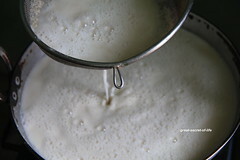 Pour Wheat milk to sugar thro' strainer. Continue to stir. 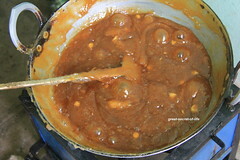 When the mixture is reduced into 1/2 add roasted cashew and pinch of orange color. 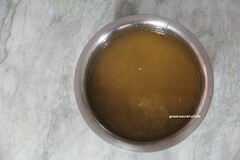 Add Ghee little by little till Ghee is not absorbed any more. Such an lengthy process.. u hv nailed it veena sooperbb..
Awww ! 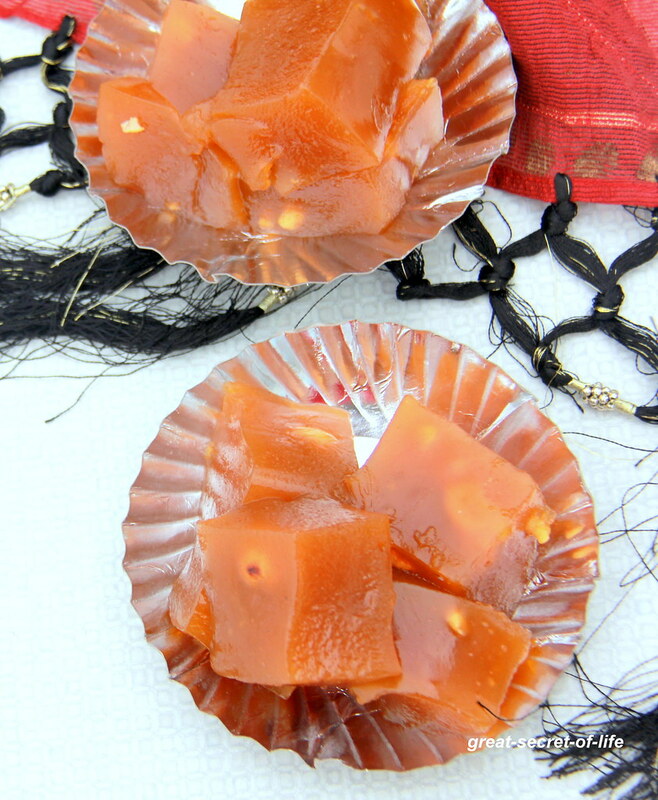 mouth watering halwa veena but it takes a long time to make these beauties. It is my favorite dessert. 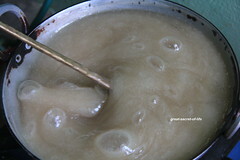 Halwa looks so glossy and delicious. Superb!! 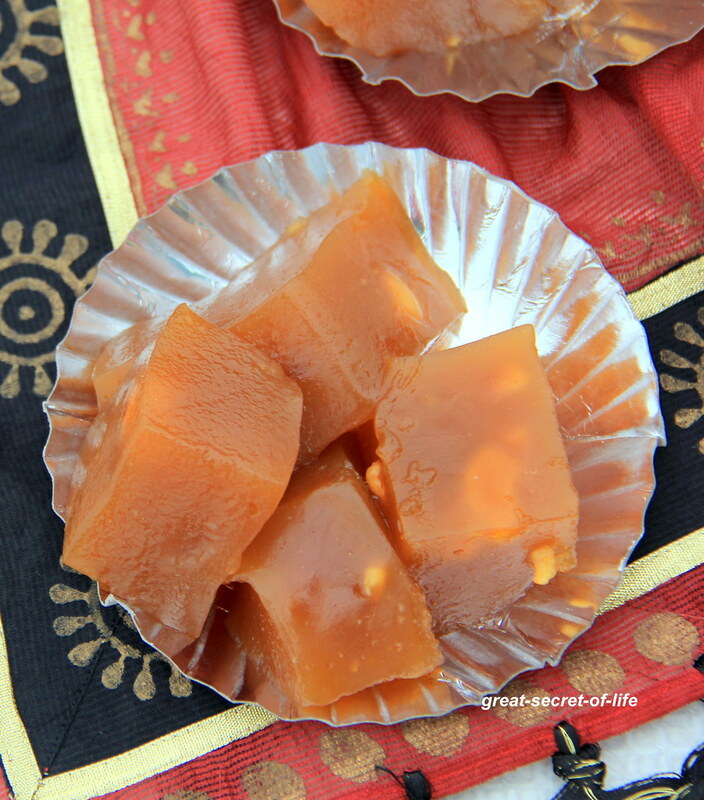 Super halwa love the perfect slices. 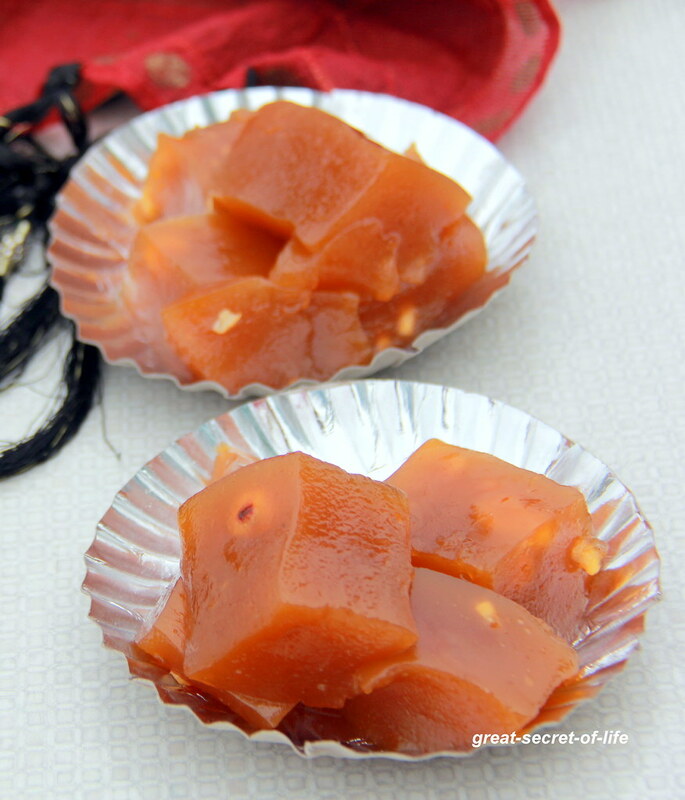 This is my favorite halwa, perfectly done, looks superb..